We just added a new submission form that’s super easy to fill out. It updates in real time and calculates the costs for grading, pressing, shipping, and more. If you have any problems while using it, please contact us. Pick-up days are Monday, Wednesday and Friday. We will send you a confirmation email when your order arrives in our facility. We will also email you tracking information when we ship you your order. 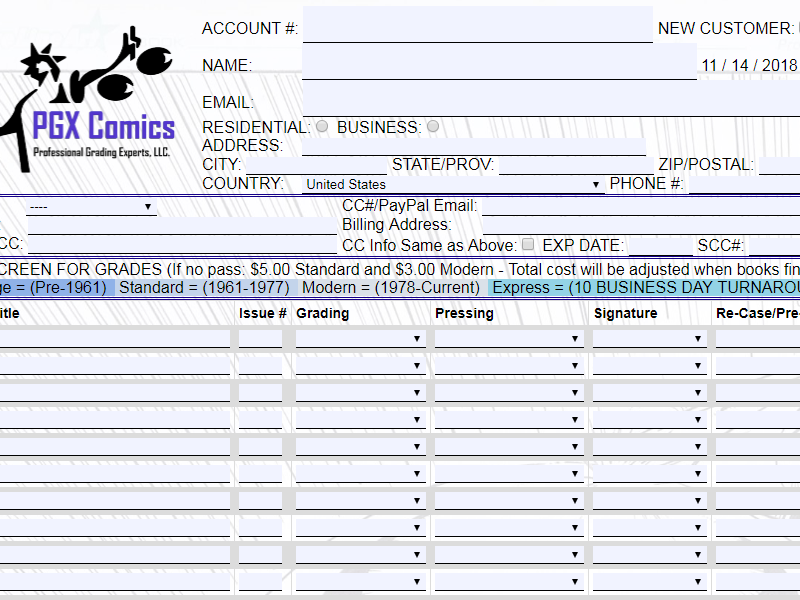 PGX Comics-World Class, Proven, Professional Comic Grading Experts.